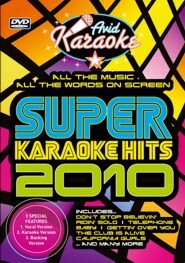 2010 has been such a fantastic year for pop music that we at AVID have decided to celebrate it by naming our traditional end of year Karaoke after it! tracks from a great year. Black Eyed Peas, Owl City, Pixie Lott and many more. Hits 2010, you too can join in the fun!